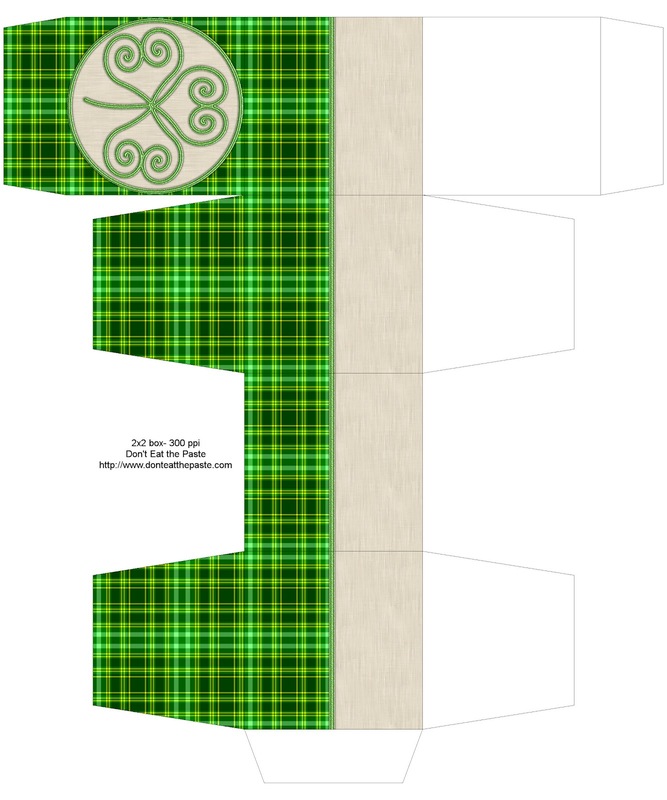 Don't Eat the Paste: Shamrock Plaid Box! If you click on the shamrock label in my tags, there are a few more shamrock printables on the site. I hope you enjoy this one. 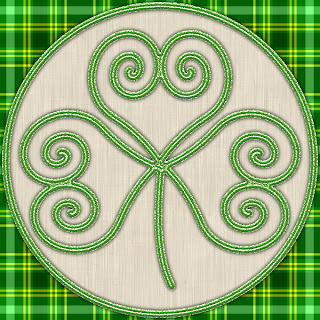 Tomorrow I'll post coordinated 2 inch circles for labels or cupcakes! Click on the image for a larger version, and print, cut, score, fold, glue. Did you know clover is an edible weed? I consider dandelions my first harvest, but clover certainly comes in fast behind it. Fireweed, which is less common in other places than it is here, and chickweed round out my "weeds" harvest. An Alaskan tradition is something called Homesteader's Honey, it's a honey like sauce that's made using fireweed, red clover and white clover blossoms with sugar. Since sugar is a staple that ships and keeps well, and it's less expensive than honey, it was a popular alternative for some families. I collecting blossoms for my mother when I was a kid, and she would put up jars to gift and for our family. She always just used our Cooperative Extensions recipe. While I buy locally produced honeys, this summer, I plan to make some just like my mom did. But she had a gorgeous lawn, where I've allowed my edible weeds to flourish, so I should be able to collect all the blossoms in my yard. In large pot with boiling water, sterilize canning jars, lids and rings. For up-to-date information about safe home canning practices, see for approved canning methods . In a large saucepan, bring water to a boil. Add sugar and alum whule stirring. Continue to boil and stir until mixture is clear, may take up to ten minutes. Remove saucepan from heat and add the blossoms and allow to steep for 15 minutes. Pour through multiple layers of sterilized cheesecloth into the prepared jars. Allow ½-inch head space. Apply lids and bands immediately. Snug bands and invert jars, allow to cool. Use as you would regular honey. If crystallization occurs, carefully warming uncapped jars in the microwave can liquify the mixture. This recipe is the one my mom made from our local cooperative extension service. You can download the PDF of fireweed recipes for free from their site here. Hi Shala. 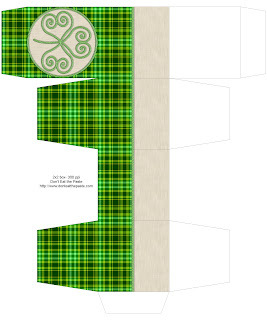 I find your blog a few days ago and it's a pleasure, all this lovely boxes and other ideas. Thanks!